It is with heavy hearts and upmost respect that the AFL South Coast Community grieves Darren Williams. Known, respected and loved by so many, Darren was the quintessential club volunteer – and them some…his love for the game of Australian Football only surpassed by his love and devotion to the Kiama Power Australian Football Club. Darren was there, leading the charge when the new junior club was established in 1999. 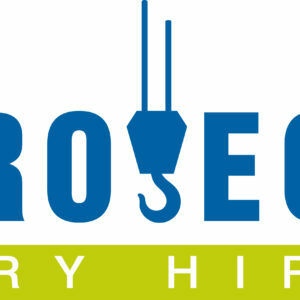 Like most junior clubs, the Power started small but it was clear that this club was in good hands early. With Darren and Kim’s three son’s Michael, Ben and Tom keen to play, it was the start of what was to become one of the region’s most loyal and committed football dynasties. 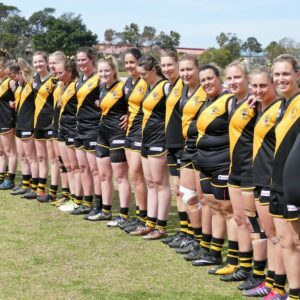 The club started with just 42 kids in three age groups, Auskick, Under 10s and Under 12s, a vast contrast to the club that today has an amazing fourteen teams and over 250 boys and girls playing across two venues each weekend. What hasn’t changed though, is the presence of a Williams within the junior club, with youngest son Tom coaching the Under 17s this season. Darren’s legacy continues…. 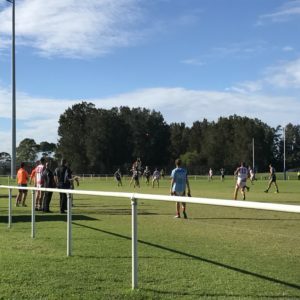 As time went on, thoughts turned to the possibility of starting a senior club in Kiama, and once again it was Darren who was prepared to give more of his time and more of himself to a new senior club. He played in those early days, although perhaps as much from necessity as desire. 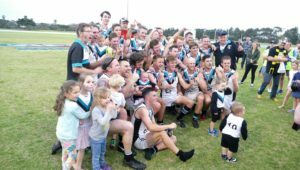 It was a mixed bunch – Dads, some who probably thought their playing days were passed them, some kids who were graduating from juniors and needed somewhere to play, and a number of guys completely new to the game of Australian Football. Fair to say they weren’t world beaters to start with, and lesser people may even have said this is too hard and disbanded the whole senior club dream. But determination to see the club and the game grow, plus one suspects a real desire to provide a playing option for three growing boys, saw Darren become a vital part of the growth and longevity of the senior club. The Williams family continued to be integral to that growth, and in late 2017, Darren watched with absolute pride as Ben was awarded the leagues highest honour, the Tunbridge Medal. In 2018, as Senior Club President once again, Darren was to enjoy a premiership for the Power, one that many people credited him with in engineering an environment and developing a culture that saw the club reach the ultimate success. 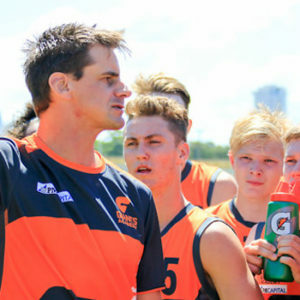 Perhaps most importantly, the original plan had remained unchanged with an unprecedented number of ex Juniors playing in that premiership year – a testament to the aforementioned culture that Darren fostered. Later in the year, Darren and Kim were inducted as Life Members of the Senior club (to go along with the Junior Life Membership already received), and while the award itself was extremely fitting, it was the testimonials from club people that night that really displayed just how loved and respected Darren and Kim are to so many in the Kiama Power family at all levels. The Power added three new Life Members to our ranks at the presentation night. A fitting honour for Sue Hilton, and Kim & Darren Williams, who do so much for the club. 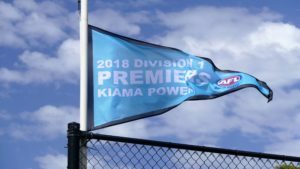 Here's a montage of what Kim & Darren Williams mean to the Kiama Power. 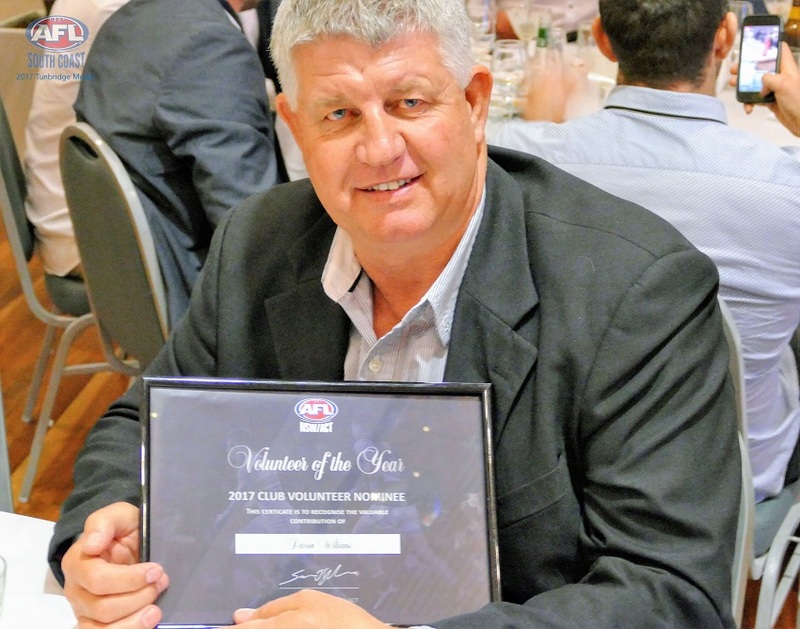 Darren was the volunteer every club would love to have, and typically even on the day he tragically left us, Darren was working in the club, making coffees in the canteen, helping at the BBQ, running the board for the Seniors in which his three boys were playing…. such was his way. Just prior to the First Grade match, Darren raised the premiership flag and many have noted the look of contentment and absolute pride he had during that ceremony. This was his Premiership Flag! It goes without saying that we will miss Darren. His dedication to the Kiama Australian Football Clubs was paramount at regional meetings and events, but he was always keen to help out a new president or a volunteer from another club if they needed advice, many times over ‘a quiet one’ after a meeting. While we sadly won’t see Darren running the show at his beloved Bonaira, or around the grounds, his legacy within the Kiama and broader South Coast region is undeniable thanks to his passion and dedication to the game and that we know will live on forever. AFL South Coast has lost one of it’s absolute finest – a truly great football gentleman. A memorial service honouring Darren’s life will be held at The Pavilion, Kiama, this Wednesday, 17 April at 11:30am.